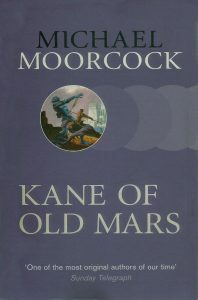 I originally read the trilogy Warriors of Mars, Blades of Mars and Barbarians of Mars back in the early Seventies in the 1965 Compact paperback editions (three-and-sixpence each – mine have a 20p sticker – with covers and internal black and white illustrations by James Cawthorn), published under the by-line Edward P Bradbury. Still have them. It’s been a while since I revisited the books, so I was looking forward to reading the new, revised collection. Like much of Moorcock’s output at the time these books were written at tremendous speed – and it shows. Even accepting that they are pastiches of Edgar Rice Burroughs’ John Carter series there’s a sloppiness that I’m surprised hasn’t been tightened since original publication (these aren’t the first reprints). Perhaps author and editor decided it was all part of their retro charm. 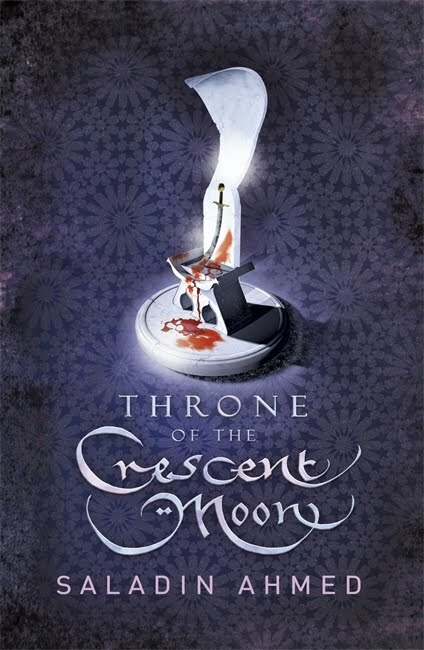 But I’m left wondering how readers, unfamiliar with the outdated tropes and style, will react. Old farts like myself, completists, and fans of Old Pulp are likely to cut the collection some slack – acknowledging that what their younger, unsophisticated selves loved just hasn’t stood the test of time. But newcomers? The books’ protagonist, American Michael Kane, meets the author ‘Edward Bradbury’ (Moorcock would use the same literary device again in the Oswald Bastable trilogy) and tells him of his adventures on ancient Mars (Vashu to the natives); a place he reaches – accidentally – via a matter transmitter. Here he finds cruel aliens (the giant blue Argzoon in this case, rather than Green Martians), an advanced, if decadent, civilization, and a beautiful princess: Shizala of the Green Mists. Kane is, fortunately, a master swordsman and despite initially falling foul of Martian social convention, inevitably wins his lady love. Along the way he battles and befriends Blue Giants, confronts dog and cat men, defeats treachery and seduction among Shizala’s own people, and races to stop a deadly plague. It’s a well-worn template, and no doubt helped Moorcock write the original trilogy so swiftly. That’s not to say there aren’t familiar touches along the way: some of the character and place names could easily fit into the original Elric stories. It can’t be denied there’s a tremendous energy to the writing, one which carries the reader past the flaws and reflects the vigour of inspirational material (which I’m sure Moorcock has a great love for). But – another but – it does make me wonder if reprinting everything from an author’s back catalogue, even an author as influential as Moorcock, is always a good idea. 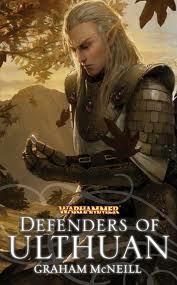 (And I say this as someone who has examples of his early Sojan the Swordsman fiction in my collection). Because you can’t always go back. And sometimes it’s best not to. I also wonder why only one of Cawthorn’s two internal illustrations made it into the revised edition. Having said that, this volume is still going on my bookshelf alongside the original three-and-sixpenny paperbacks. Just like I still have ancient and modern editions of ERB’s Mars books. Call it rose-tinted nostalgia; call it a refusal to let go of childish things. Ultimately, for all its faults, the Michael Kane trilogy has a vitality and sense of innocence that is rare in our more cynical age. It’s not great literature, nor was it ever meant to be: just stories from another age aping tales from an even earlier time.